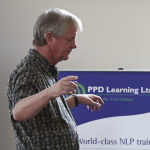 Our slogan at NLP school is The Art of Change, and I want to write this week about my experience of being coached by two absolute masters of this art. It ties in with our Generative Coaching course, which starts this Saturday, 31st October in London. 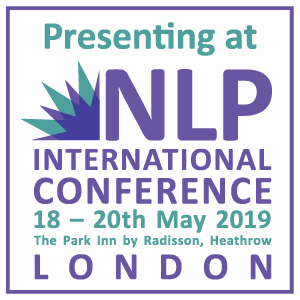 Our slogan at NLP school is The Art of Change, and I want to write this week about my experience of being coached by two absolute masters of this art. It ties in with our Generative Coaching course, which starts this Saturday, 31st October in London. I have been fortunate enough to have received informal coaching from both course leaders, Robert Dilts and Stephen Gilligan. Robert helped me change the way I related to others. Robert’s many creations include the meta-mirror – a process to perceive reality (and especially human relationships) from three perceptual positions. These are from the perspective of yourself; from that of the other person and from that of a detached ‘fly on the wall’. He took me informally through this journey, and as he did so I discovered a new capacity for objectivity. At the time, it helped me sort out a difficult relationship. When faced with difficulty I still hear his voice from that session, though it was ten years ago. I find myself able to shift into a clear, pressure-free space from which to view any situation and make good decisions, no longer overwhelmed by the pressure of the moment. Good coaching lasts! 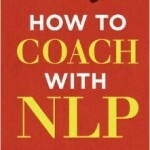 Robert is perhaps best known as an inventor – he has created some of the most-used and powerful techniques in NLP and the author of over 20 books. 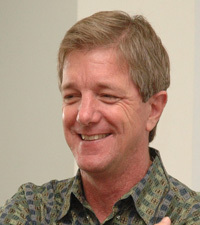 He is also a leading consultant and trainer, adding cutting edge approaches to business and leadership development. 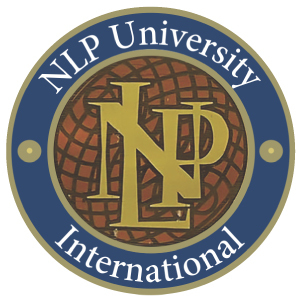 But again it is my personal memories of coaching demonstrations at his NLP University in Santa Cruz – watching others (and myself) literally evolve by his unique blend of integrity, charisma and warmth. We’d been talking about cars earlier, and this is a lovely example of the skill that Stephen learnt from Milton Erikson, his original mentor. Erikson was a master of identifying the appropriate personal metaphor for a client, the one that would press their ‘buttons’ and make them change, not just think about changing. Stephen has taken that skill on, and it is a joy to watch him at work – or to be coached by him. 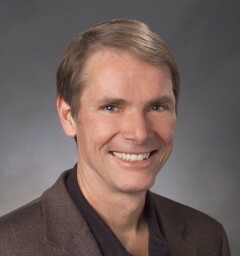 Stephen’s academic achievements are considerable – he has a PHD in psychology from Stanford – but his greatest strength is his ability to create a relationship ‘field’ during his coaching sessions that can truly transform others. I’m looking forward to watching these two world-class coaches in action next weekend. There is amazing new material in the course. Robert and Stephen have been working together for over a decade, and will be unveiling their new approach to personal development and change, Generative Coaching. Having worked with both of them, I know this will be special. 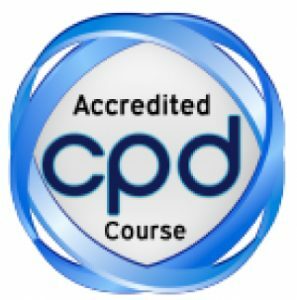 The course is nearly full, but there are a few spaces left – it has both ICF CCE’s and UK CPD points. If you are ready to transform others and transform yourself, do come along. It will be something special. See Generative Coaching for more details.